The PL series can be arranged in any order depending on your needs. The HSS PL2-OB can be installed in traditional wall mounts or HSS Industries 101R font loading enclosure and the 101C rear loading enclosure. 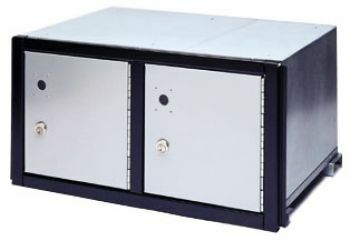 The PL series is available with open back (OB), rear door (RD), or closed back (CB), depending on the applications. The PL-DRD provides pass through security for open (OB) applications.